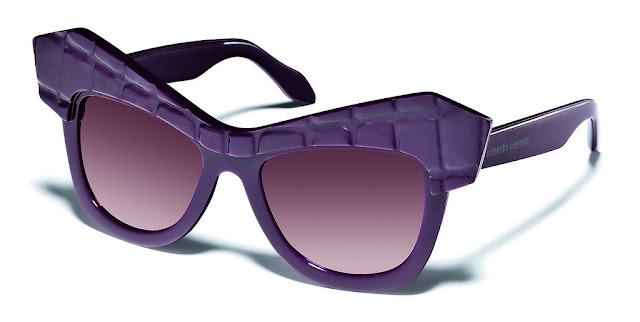 Roberto Cavalli Fall 2012 Eyewear...Can You Say DIVA? SAY IT LOUD..."I'm a DIVA and I'm proud!" Roberto Cavalli continues to dazzle us with the creation of these dynamic pieces of eyewear for the fall. Smart angles and tasty colors make for one fabulous accessory for any woman's face. Skillfully crafted on the front for a second skin effect, it expresses an impetuous temperament through bold lines and strong traits, underscored by a crocodile/ostrich/shagreen print. Let's face it. Cavalli is known for cutting edge designs and there is no disappointment here. Be on the look out for these and other looks in The IDEAL Magazine and CenterStage1 Magazine in the fall issues.